Forty Toes: Win a FREE spot in our Photography/Marketing Workshop! Win a FREE spot in our Photography/Marketing Workshop! 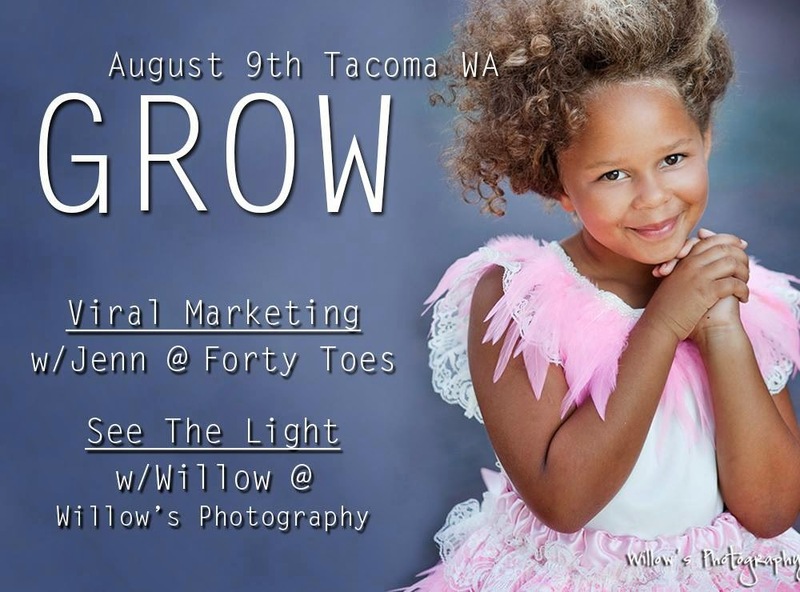 I am so excited to announce the GROW in Tacoma workshop that Willow and I are teaching on Saturday August 9th here in Tacoma!! Our intention is to help you LEARN and GROW by sharing our knowledge so you can take your business to the next level! Are you ready to GROW?!?!? YOU ARE WORTH EVERY PENNY! Payments accepted through Paypal and are non-refundable. Please email me at FortyToesPhotography@yahoo.com to sign up! We are GIVING 1 Spot to attend away! No worries if you sign up and WIN we will refund you!